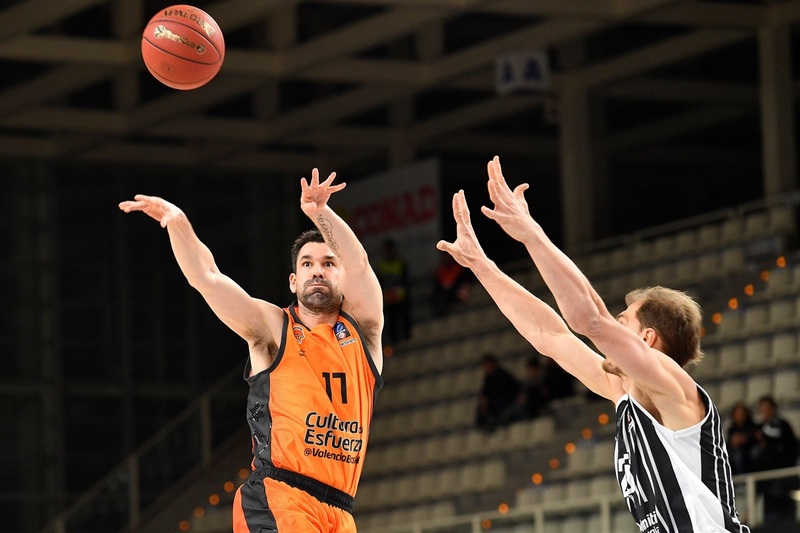 Valencia Basket used its three-point prowess in beating Dolomiti Energia Trento 83-95 on the road to remain in excellent form going into the Top 16. 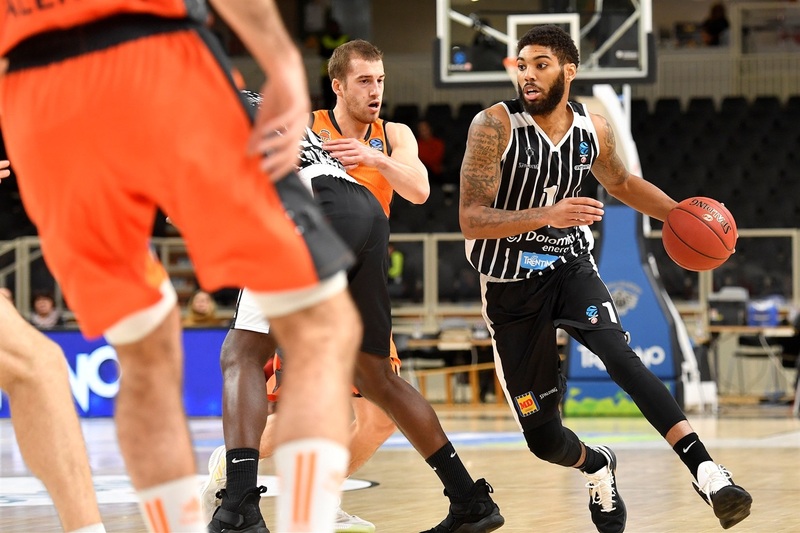 In a game that had no meaning in the standings for either team, Matt Thomas and Rafa Martinez each scored 20 points to pace Valencia, which was playing without Bojan Dubljevic and Fernando San Emeterio. Louis Labeyrie added 17 points while Guillem Vives had 10 as Valencia nailed 13 three-pointers to finish atop Group C with an 8-2 record. 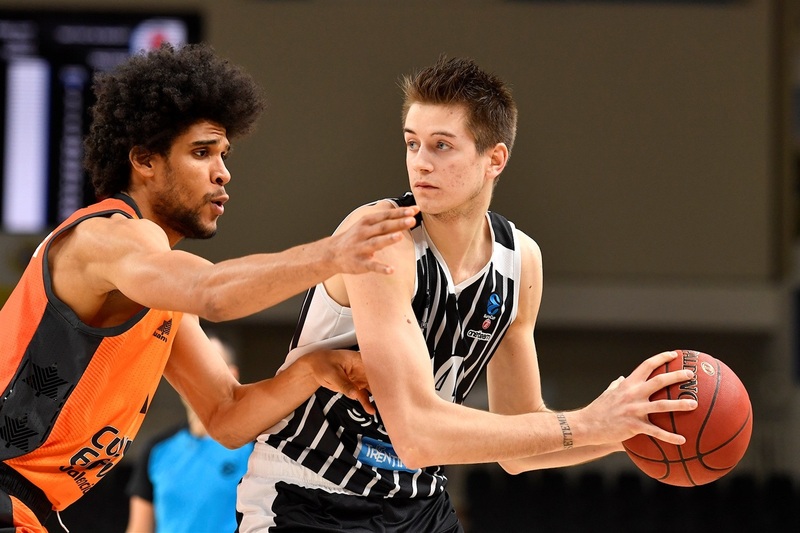 Trento was already eliminated from reaching the Top 16 and ended its EuroCup campaign with a 3-7 record. Dustin Hogue and Devyn Marble both scored 16 points and they combined for 12 rebounds and 8 steals, too. 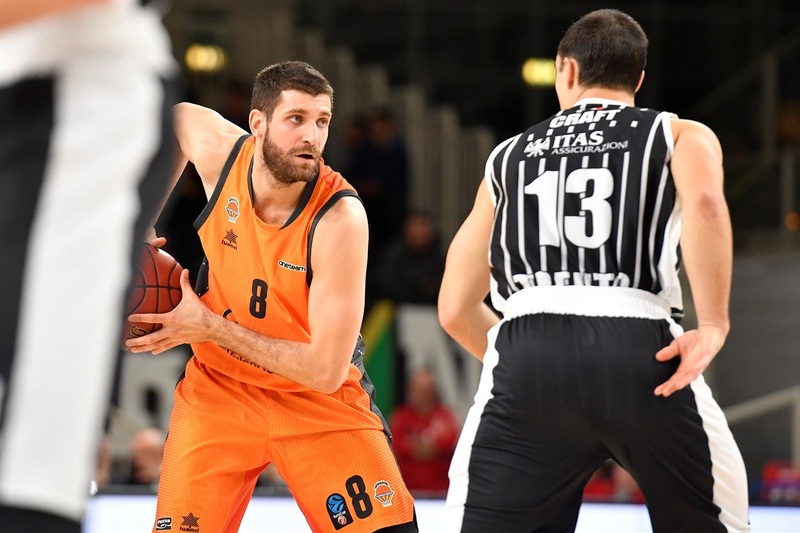 Beto Gomes had 14 points, Andrea Mezzanotte 12 and Toto Forray scored 11 points for the hosts. Antoine Diot hit a three-pointer early on for his first points of the season after missing all of the last one, too. Aaron Craft gave the hosts their first lead at 8-7. 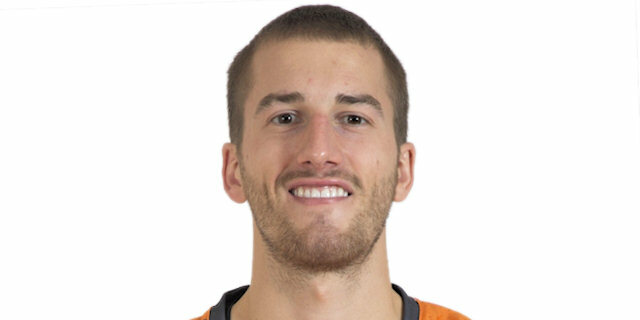 But then Matt Thomas got hot with 9 points in helping Valencia jump ahead 14-21. Fabio Mian knocked down a three-pointer at the other end but the guests were up 18-23 after 10 minutes. 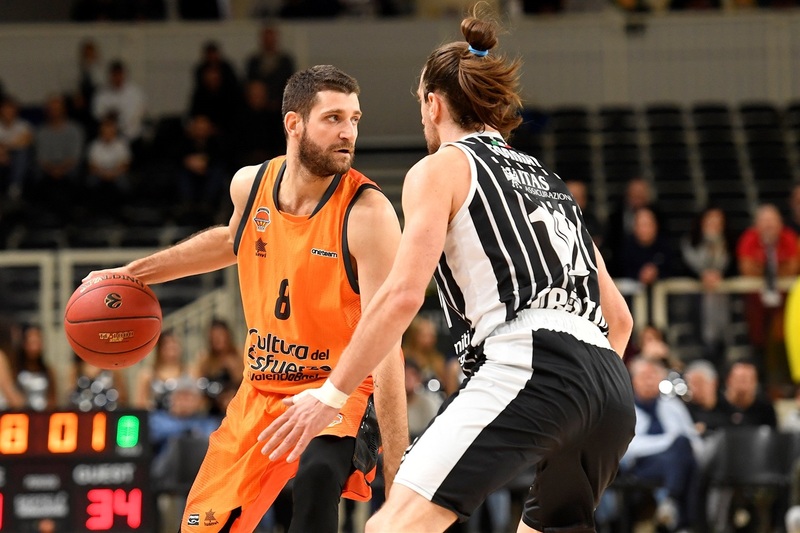 Valencia pulled away in the second quarter thanks to the three-ball as Martinez twice from deep, while Vives and Sergi Garcia both were on target, too, in building a 20-37 lead. A triple by Gomes stopped the slide and Mezzanotte also hit from outside. Hogue tallied 9 straight points and Forray added 5 more before Craft’s layup at the buzzer trimmed the gap to 46-52 at the break. Valencia picked up the first 5 points of the second half to extend the margin to 11. Hogue and Marble were able to trim the gap to 55-59 but Labeyrie scored 8 points in an 0-11 Valencia run to make it 55-70. Matt Thomas nailed 2 three-pointers as the advantage grew to 58-77 and it was 61-78 after 30 minutes. 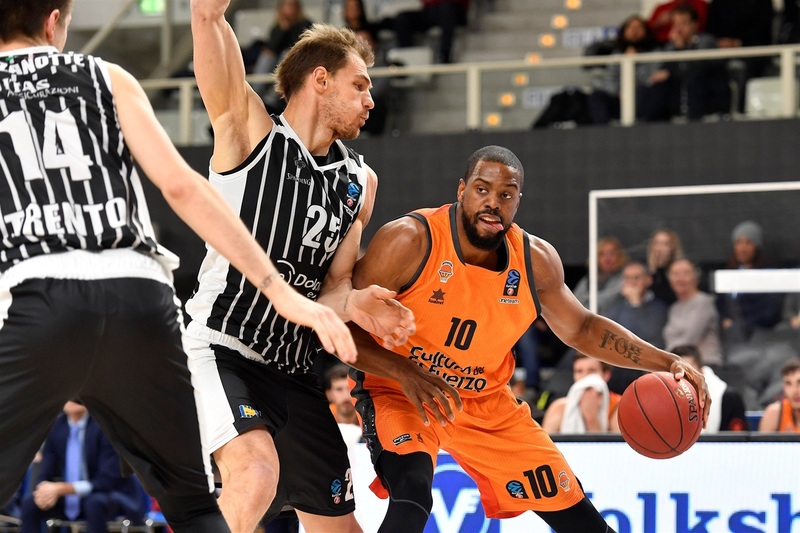 Trento was not ready to exit the EuroCup without one last victory as Mezzanotte and Forray both downed three-pointers in getting the deficit lowered to 69-78. 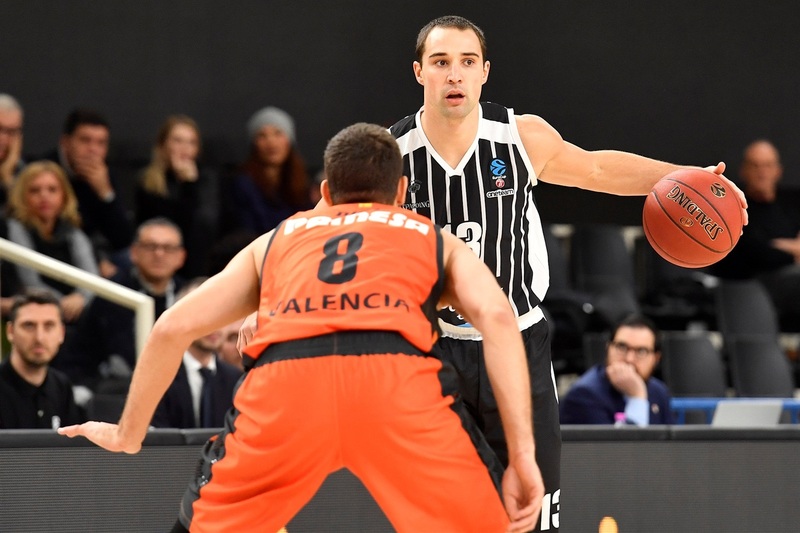 Aaron Doornekamp answered with a three-pointer and then Martinez finished the game strong, with 8 of Valencia's final 10 points. 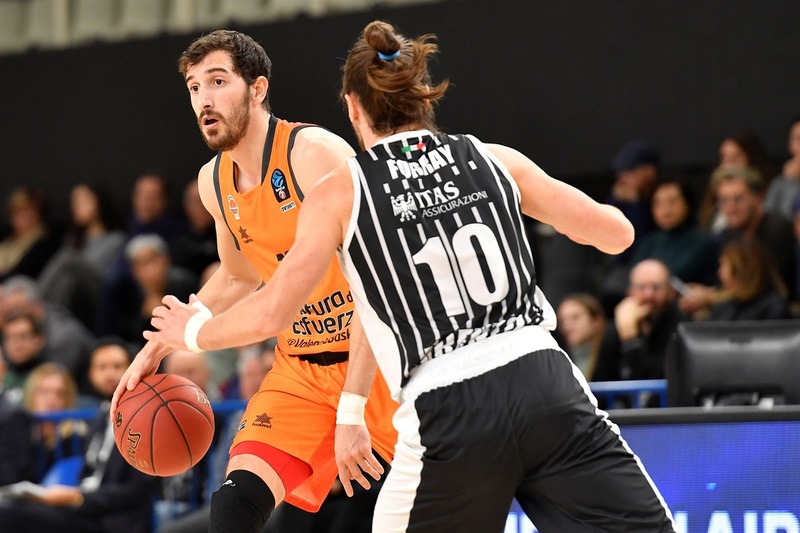 Trento had cut the deficit to 55-59 in the third quarter but Louis Labeyrie scored 8 points in a 1-13 Valencia run to make it 56-73. Guillem Vives scored 10 points on just 4 shots and also picked up 4 rebounds, 5 assists and 4 steals for an index rating of 20. Valencia guard Rafa Martinez scored 20 points – including all 4 of his three-point tries – in 25 minutes. The 36-year-old had scored just 6 points in 11 total minutes in two previous games this season. 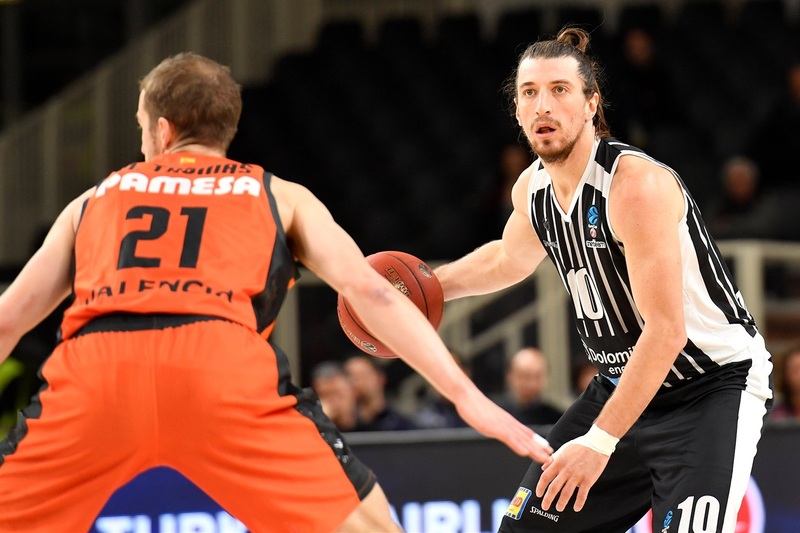 Trento used the game as a chance to give Andrea Mezzanotte some good minutes. The 20-year-old scored 12 points to go with 3 rebounds and 2 assists in 28 minutes. In the previous three games, Mezzanotte did not score in almost 13 minutes of action. Valencia made 13 of 24 three-pointers for 54.2% to survive committing 21 turnovers. 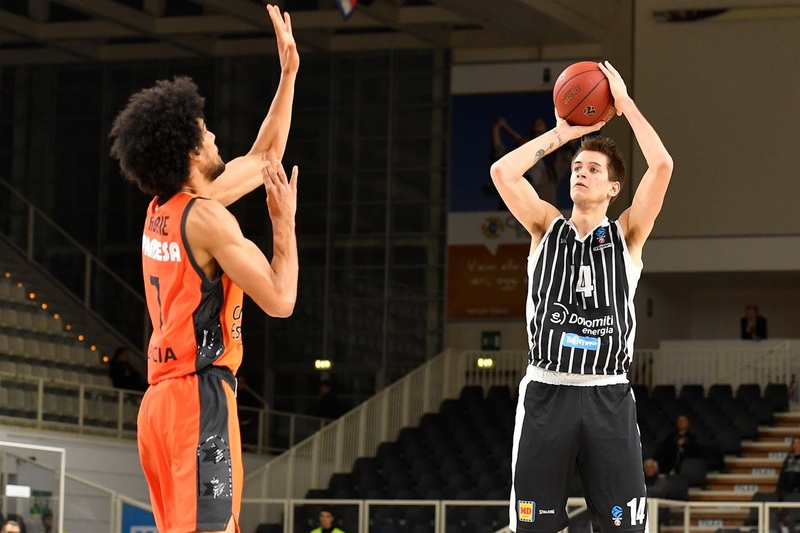 Trento made just 8 of 27 three-pointers (29.6%) and just 13 of 23 free throws (56.5%). "We are finished in this beautiful competition. The most important thing is we achieved positive things for this team. We played better in the second half of the regular season. We had a good sense in the last game against Turk Telekom Ankara how to play for our chance to go on. Today was not easy to play." "We are happy because for us it was a very good game. We were able to work on a lot of things. We made a lot of mistakes, we can play better defense, we can score better on offense. So for us, this game was very good to improve on a lot of things. 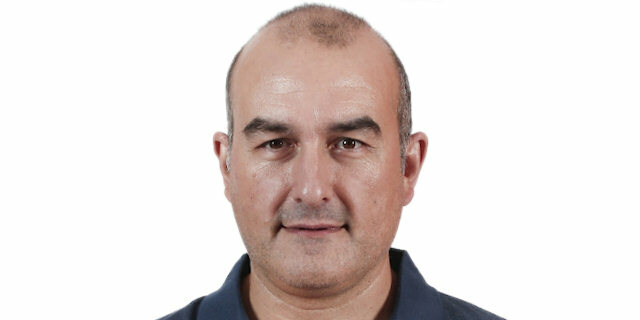 We have a tough group so we are very happy about the first position in the group." "We're happy about getting the first seed, but at the same time we have a lot of room to improve. We're just going to take it one game, one step at a time to fully reach our potential."